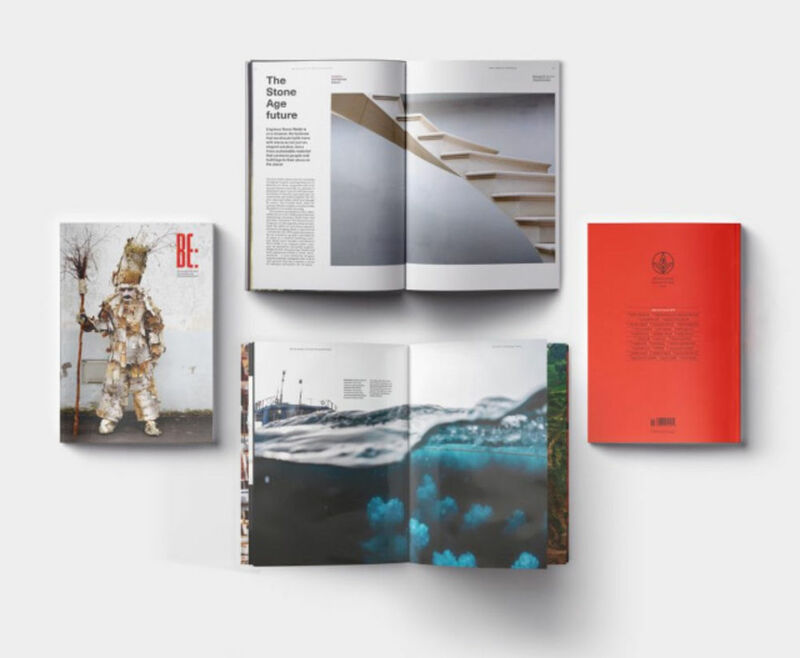 Like many of our fellow mag-lovers, we’re always excited to see a new printed periodical make its entrance—especially one as handsomely designed and imaginatively edited as BE: Journal. 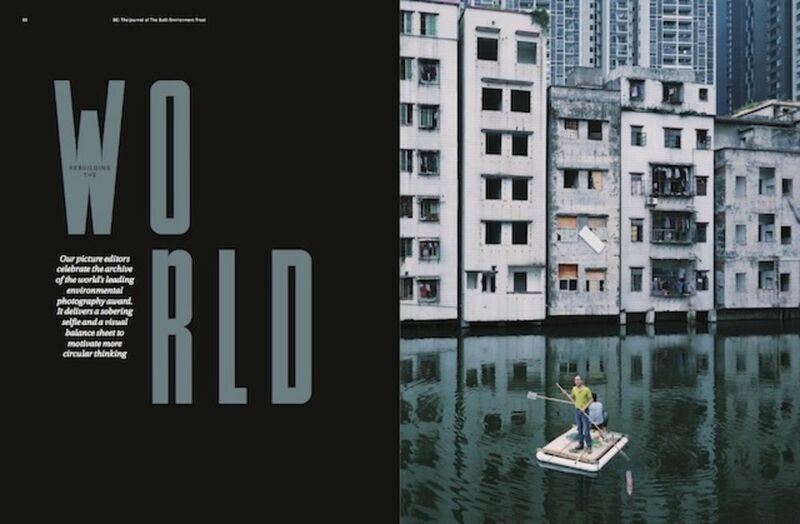 Published by the Built Environment Trust, the magazine, whose first issue was published this summer, encompasses architecture, illustration, technology, politics, art, materials and engineering, approaching its diverse subject matter with an inquisitive openness and a canny sense of pace. The BE: editorial team is headed up by Lewis Blackwell, John O'Reilly and Paul Pensom, all three of whom are veterans of the magazine world. Blackwell, BE:’s Editor in Chief and Creative Director, was previously Editor in Chief and Publisher of Creative Review, among a number of other titles, and BE: Art Director Paul Pensom has been Art Director of Creative Review for many years; John O’Reilly, BE:’s Executive Editor, might be best known to Grafik readers as editor of Varoom, the magazine of the Association of Illustrators. 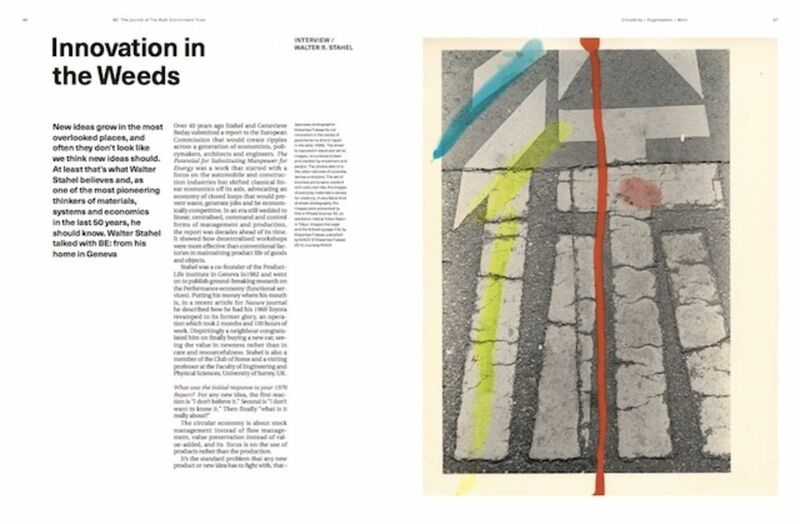 The features within the first issue of BE: Journal draw upon myriad disciplines, demonstrating the breadth of the Built Environment Trust’s remit and highlighting some of the fascinating, forward-looking and interdisciplinary work and ideas within this field. As might be expected from a mag in which the editor of Varoom is involved, contextual imagery and illustration both play an important role within BE:. 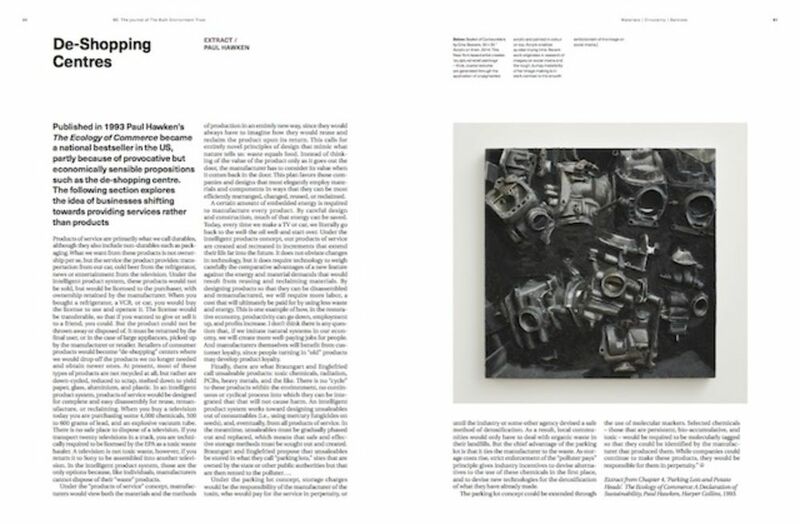 The editorial team have taken an imaginative approach to the commissioning of original illustration, and written content is also frequently juxtaposed with imagery found elsewhere—complimenting the themes within the writing and offering an alternative point of view on the subject at hand. 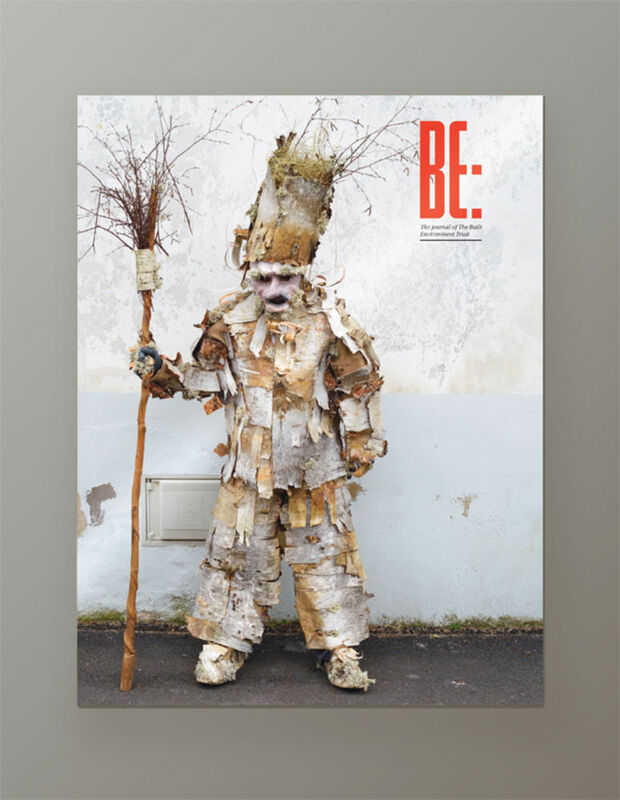 What's the story behind BE: Journal—how did the team come together, why did you decide to create the magazine, and why now? Lewis Blackwell: Our publisher Colin Tweedy, CEO at The Built Environment Trust, writes in his letter in the first issue: “At times we want to set aside our digital assistants and savour materials of substance and of quality…and be grounded.” Like any good quality print magazine in 2017, the journal is a way of slowing down, and in this instance gathering attention for all the different concerns, themes and activities connected with the Built Environment Trust—an organisation that exists to explore and promote innovative ideas that could help us build better and thereby improve our lives. While the Trust hosts events and exhibitions at The Building Centre in central London, the journal is a broader, inspirational take on key areas of interest such as circular economics, advanced materials and (next issue!) wellbeing. The articles, design, and photography of BE: give us time to dwell a little longer with the people and materials driving innovation in the buildings, cities and landscapes that shape how we live. What brief did you set yourselves, both editorially and in terms of design, for BE:? LB: “Create a great journal about the innovative things the Built Environment Trust cares about” was the general thrust of the brief! I said to both John (O’Reilly), the Executive Editor, and Paul (Pensom), the Art Director, that we have to measure the journal by a qualitative take on who reads and engages. It’s not about lots of copy sales, or piles of ad revenue (we are not seeking conventional advertising at all). It is about influencing and engaging broadly and deeply. So it has been good to see, after the first issue, that people get in touch who have stimulating ideas and knowledge, or are involved in organisations that we are interested in. We have had emails from around the globe. Now we want to build that out to a strong subscriber base. Editorially, we knew we wanted to be able to run long-form pieces and be generous with pagination if an article called for it. 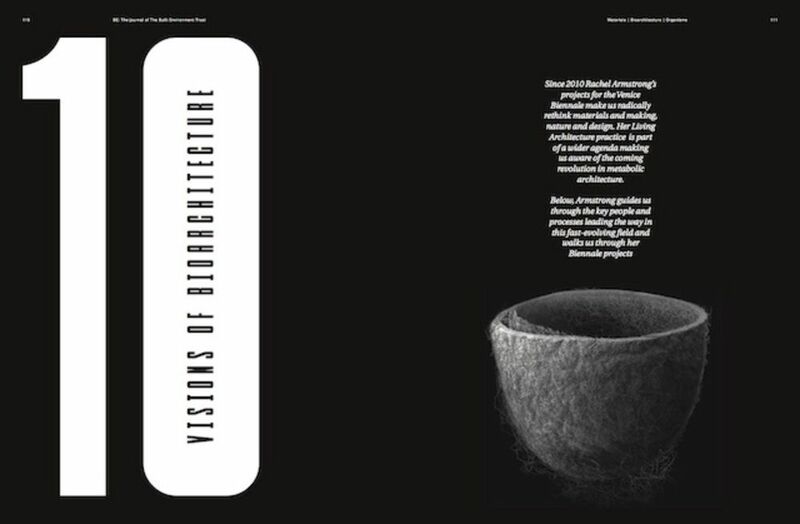 There is a twelve-spread profile in the first issue of architect William McDonough and his work on the circular economy. At the same time, the journal is intentionally browse-able: you should be able to enjoy it for several minutes without actually needing to commit to a long read. So there are features like Rachel Armstrong’s 10 Visions of Bioarchitecture, an instant update on the fast evolving field of metabolic architecture, and an extensive photo piece curating images from the Environmental Photographer of the Year Award, which you can dip into. In design terms, we did not have preconceptions other than that we felt there is a climate today for readers to engage with the journal as a thing to cherish and keep, rather than to consume and throw away. We wanted to ensure it works visually, in the four-dimensional form of a 150-page printed piece, so that our choices in construction are always quietly stimulating rather than tricksy or overly familiar. We try and ensure it feels, at all times, carefully considered. How does the magazine differentiate itself from other architecture-focused periodicals in print at the moment? LB: I wouldn’t say that it is that focused on architecture. 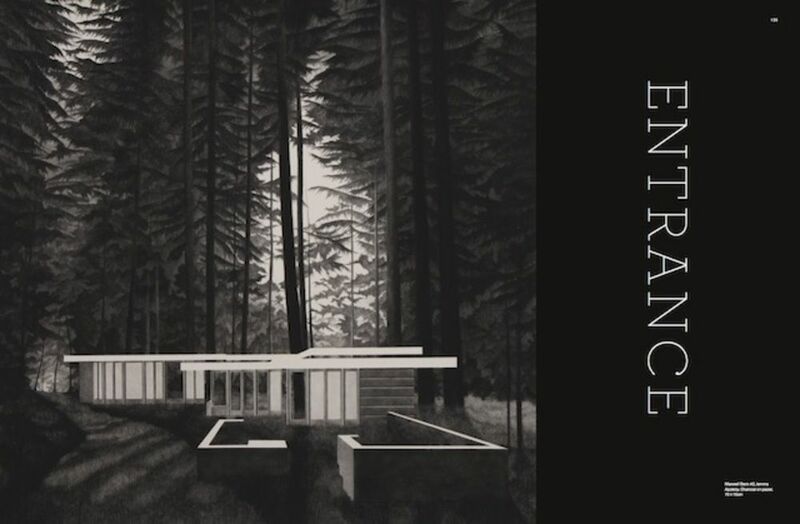 It is about the built environment, which can involve detailed discussion of everything from material science through to city plans, going from the theory of circular economics to the practicalities of rebuilding a barn from coppiced wood (to draw on just a few of the topics in the first issue). We can be about civil engineering and product design, landscaping and construction techniques, and much more…architecture is an element rather more than a core subject for us. Who is your intended audience for BE:—what kind of readers are you hoping to attract? LB: We have a broad appeal to many people involved directly in innovative areas around buildings and landscape, materials and cities, and the new tools, technologies and practices that shape new ways of making things—from VR to maker-culture. We also appeal to the more general reader who cares about the issues and topics to do with sustainable building. We are pushing the debate forward, with a keen desire to represent how that debate can move forward faster. This journal is manifesto-like, but we are trying to do that through charm rather than hectoring: we want to help create much greater understanding of how we can build in ways that improve the planet, stop damaging it, and improve our long-term ways of living. As we are very global in our approach, this audience should also be global. How important is the working relationship between design and editorial team members during the process of creating a magazine? John O'Reilly: On all the magazines I’ve worked on, the relationships between editorial and design are part a function of professional circumstance and money; part a function of the geography and proximity of the team; and always a negotiation of the boundaries between editorial and design. This tacit negotiation comes from the respect and interest in the specific set of skills and tools the others bring to the expression of ideas in magazines, ideas that merge the textual and visual. The three of us have worked with each other on magazine projects before, side-by-side in a studio for some years, and we know each other’s strengths and tastes, and where we can encourage and push each other. Each of us can tell when another isn’t getting a vision of what a feature could be. Any strong creative collaboration is ultimately about trust and about being able to bring specific ideas to the project, to try them out and trust the others to make them work, move them forward, or most importantly just say they don’t work. Though we are keen to experiment visually and graphically with the Journal, Paul is keen to push this in the second issue. We have been schooled in editorial magazine making since the 80s and 90s (I co-edited my first magazine at age 16—myself and the co-editor, now a leading London Psychiatrist, were hauled in front of our Jesuit headmaster for posing leading, politicized questions in a survey!). Both Paul and Lewis are steeped in the history and visual lore of magazine design, so when they get talking about designers, magazines, and print from the 60s and 70s (and sometimes that’s the 1870s), it’s like listening to two magazine Jedi! Over the last five years, especially, we have begun to see a radical change in the relationship between editorial and design, and between text and image in publications, which is really interesting. In a world where you have information on tap from the internet, the psychological, social and cultural function of the magazine is changing; likewise, the role and idea of what a designer and editor is too. 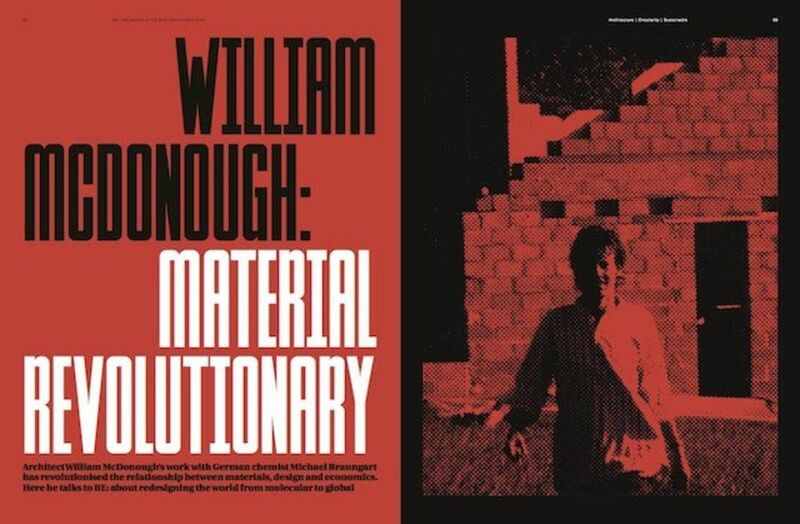 When Lewis wrote about David Carson in The End of Print, Carson was a sociology grad turned designer, a kind of designer-autodidact. Now the surge in magazine culture is designer-driven, where designers are not necessarily coming into the world of magazines schooled in the practice of editorial design. That is radically changing magazines—the visual language of new magazines is not so monolithic. It’s exciting, sometimes the arrangements of text and image don’t really work, and other times we just need to open ourselves up to something bold and new, retraining our perception of how we read and experience a story in graphics, photos and words. Designers themselves do this in making and learning the language of their magazine. 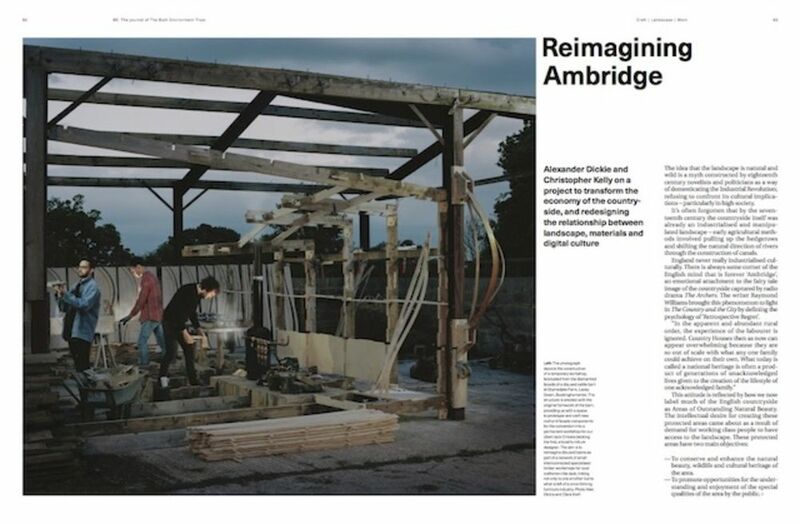 Reimagining Ambridge, a feature which rethinks how we work and build in the countryside. What were your biggest considerations when developing the design, and did the proposed content pose any particular challenges? Paul Pensom: Given the subject matter I obviously wanted a stable underpinning—a solid grid to tie things together, but on top of that I wanted a superstructure that could be deconstructed where necessary. Matt Willey makes some wonderfully architectural fonts, so his NSW01 was one of the first typefaces I started playing with for headlines. That is joined by the Neue Haas Unica family, and the Hoefler & Frere-Jones slab Archer. Body copy is for the most part Utopia, a workhorse of the late 80s/early 90s that I think is an under-appreciated gem. Can you explain your approach to illustration throughout the magazine, and the different roles it plays? PP: We had a minuscule commissioning budget for BE: #1, so our approach was often to look to the world of art, to see if we could pair like-minded creatives across disciplines. We found this to be unexpectedly fruitful, leading to some pleasing synergies, and intend to develop the strategy further for issue #2. Several of the text-based features in BE: don't have obvious visual counterparts. How did you overcome this, and where did you look to discover potential visuals to go alongside? JO: We didn’t want to be too editorially directive with images, we wanted the images instead to be parallel points of departure for thinking. With the interview of Walter Stahel, a pioneering thinker of the Performance Economy, we considered using an image he sent us of his beautifully restored 1969 Toyota—he told us, with that economist’s eye, that the restoration took two months and one hundred hours of work, a great example of maximising the value of existing resources through craftsmanship. But it was a standalone image, it wasn’t a big enough file and we didn’t have a good enough quality for ‘before’ and ‘after’. I remembered seeing Mack’s book of photos by the late Japanese photographer Masahisa Fukase, Hibi. The headline from Walter Stahel’s quote around new ideas in science and creativity being like weeds growing in the cracks of paving stones was played out in Fukase’s photos of cracks in the surface of Tokyo streets – he crates innovation in the weeds. The images work with the text in a very literal, abstract and textural way. With the extract from Paul Hawken’s circular economy classic, The Ecology of Commerce, we originally used an illustrative photograph in the layout, but it gave the impression of very functional, textbook thinking. We’d like the images in BE: to make the thinking and practice of architects and engineers convey both information and a sense of adventure. I remembered some work by artist Gina Beavers whose image surfaces convey an intense materiality, and it sat with the Hawken’s extract around rethinking the exchange of materials. Because it was such an interesting image, Paul changed the layout, gave it more space, so the image becomes its own field of interest. BE: the journal of the Built Environment Trust is available in good magazine and bookshops and can be bought at The Building Centre in central London, or online here.